Backed by diligent personnel and vast industry experience, we are capable of rendering classy services of Shehnai and Tasha for Occasions. 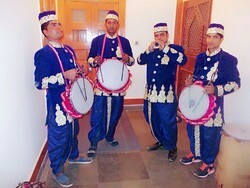 Blend of shehnai and tasha adds a soothing effect to the ambiance of an event. Signifying true happiness, our team of professionals plays nagada at different occasions such as child birth, wedding ceremonies, engagements and wedding ceremonies. The service offered is widely appreciated among the clients for turning an event into a memorable one by adding its special effects to the occasion. We are also renowned for the Tasha Musical Party we arrange for weddings. In these parties we play music of some of the finest electronic artists that the one has ever seen. 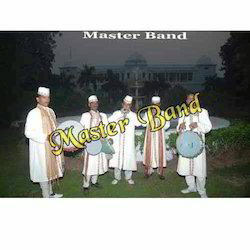 In these parties our team also plays nagada which are suitable for various happy occasions like childbirth, wedding ceremonies, engagement parties etc. Looking for Shehnai and Tasha Service ?